This week Enprise Australia signed an agreement to take over service and support for 270 customers of MYOB’s Employer Services software from across Australia. Enprise is very well placed to provide a seamless changeover for these MYOB Employer Services customers. We have an existing customer base of more than 700 businesses across Australasia and a well-established helpdesk operation, backed by a highly experienced consulting and product technical team. Our plan for Australasia, is to provide superior support for over 1,000 signed up customers within the next 12 months. We have the systems and processes in place to achieve this. I’ve recently been thinking through the forthcoming New Zealand GST changes with our consulting team at Enprise New Zealand. New Zealand businesses will incur unexpected costs as a result of the 1 October GST increase from 12.5 percent to 15 percent, unless they take steps now to prepare for the transition. From an IT perspective there is a general perception that the rate change is a simple issue – that businesses will change the GST rate to 15 percent in the setup options of their accounting software and carry on. Unfortunately it is not always that simple. Many businesses – do not appear to have realised all the implications of the change. Changing the GST rate in your accounting system is one thing, but it’s the issues around the changeover, such as customisations to documents & reports and the timing of particular transaction types and situations that are going to catch people out. Examples include the handling of transactions such as lay-bys, credit notes, orders, back-orders and quotations that are processed within timeframes that span the GST changeover date. Someone will have to pay the increased GST – and it will be up to the business to make up the shortfall if it does not charge the customer the correct amount. Companies dealing in large volumes of goods, or companies that order goods in advance are more vulnerable in this situation. The flexibility of modern accounting software packages, and the ease with which businesses can customise them, is sometimes a double-edged sword. GST has not changed for over 20 years. Since then a huge number of customized reports and forms have been created by many people for individual business requirements that may involve GST calculations. Without thorough testing, businesses won’t know for sure whether their invoices and credit notes will apply the correct amount of GST or whether GST will be reported correctly. Enprise New Zealand has committed to run automated tests on its customers’ systems before 1 October 2010. We have developed a software application that can be run – remotely in most cases – through system files and databases to check all customisations and identify instances of hard-coded GST rates in the customer’s environment. Enprise can then advise and or help customers make their system compliant. The application we’ve developed is automated, but beyond that, business processes need to be checked for each customer to understand whether they are processing types of transactions that require further GST consideration. The sheer number of companies that need to have their systems and processes checked is a big issue. Enprise will check at least ten customers a day, every day until 1 October. It’s unusual to have to check so many systems in such a short time frame. It’s going to be a busy time for the local accounting software industry. The GST change is not likely to kill anyone – but it could result in cost, inconvenience and bother if not properly prepared for. Here is a rare photograph of Elliot Cooper, co-founder and CFO of the Enprise Group. Elliot and I have worked together in several businesses over the last 15 or so years, firstly at PC Direct, then at Exonet and now at the Enprise Group. He’s a legendary finance man and a great accounting software designer – with a particular interest in Job Costing (or Project Costing). Elliot was very instrumental in the design of both Enprise Job Costing for SAP Business One and prior to that the Exonet ERP system. With Elliot’s significant input into its design, it’s no wonder that Enprise Job Costing is so strong in the area of General Ledger integration with SAP Business One. Having clocked up more than 20 years of working in the ERP industry targeting small to medium enterprises (SMEs), I can now state confidently that there are some truths to this business that will probably never change. Small and medium-sized businesses prefer to buy from and deal with local people, when it comes to ERP and accounting software. They want to eyeball and have face to face access with the people they are dealing with. However, those businesses have no problem with using a centralized help desk function which is accessed by toll-free phone or the Internet – if it is offered in conjunction with localized representation. SME focused resellers and service agents with only one geographic location therefore tend to be very generalist and opportunist about what type of solutions they sell and the customers they sell to. In other words they resist specialization because they only have a limited market of customers in their locality. This is obviously not the case for resellers that have wide regional coverage – as they have a larger accessible market and can afford to build up expertise in particular vertical markets. For the above reasons, from the perspective of Enprise Software we are now seeing a consolidation of our SAP Business One ERP resellers that sell Enprise Job Costing, evident everywhere, but particularly in North America. The result is fewer reseller organisations, but with a much more spread-out branch structure and centralized customer support functions. One of our best Enprise Job Costing partners that has been particularly successful in its geographic expansion with centralized support, is Vision-33 which now has regional offices in Irvine CA, Los Angeles CA, San Francisco CA, Salt Lake City UT, Seattle WA, Portland OR, Houston TX, Austin TX, Dallas TX, Fort Lauderdale FL and St Johns NL Canada. 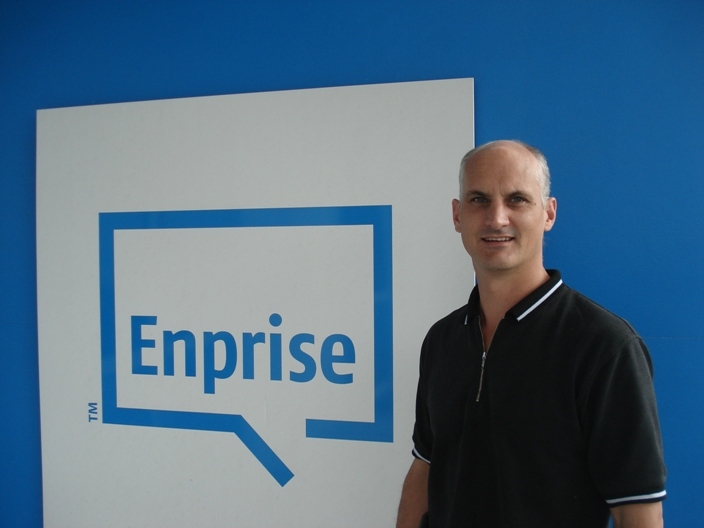 Locally in New Zealand, Enprise New Zealand has been following the same strategy of building up a network of regional sales & implementation offices, with centralized support to claim the mantle of a “Nationwide” presence. Enprise NZ has offices & representation in Auckland, Waikato, Wellington and Christchurch (further regional expansion is planned for this year) . Centralized support is offered through toll-free 0800 numbers and Internet support web site. I believe this is the best model for SME ERP sales and service. This is evidenced by the stellar sales success currently being enjoyed by both Vision-33 and Enprise New Zealand as they expand their presence in their respective markets. They can specialize in the types of solutions they offer to the market, building up specialized expertise, rather than needing to be all things to all people. It should also be said that specialized expertise and the quantities of scale achieved by these larger organizations leads to more successful outcomes for customers and greater profitability for the reseller…and that must be a good thing.